Rent The Leaning Pear | Corporate Events | Wedding Locations, Event Spaces and Party Venues. The Leaning Pear is owned and operated by Rachel and Matthew Buchanan, both native Texans and graduates of Texas A&M University. After spending time abroad in Perugia, Italy, exploring the tastes and techniques of Italian cuisine, the couple relocated to Hyde Park, New York, for Matthew to pursue a degree in Culinary Arts at the renowned Culinary Institute of America. The two eventually landed in the Texas Hill Country to pursue their dream of running an eatery centered on fresh, seasonal and local food, a philosophy they came to embrace while living abroad and also while working in food and hospitality in the midst of the flourishing sustainable food movement. The opportunity to restore the Lowery House at 111 River Road, one of the oldest structures in the Wimberley Valley, came about in October of 2006. With the help of family and friends, Rachel and Matthew worked for months to create a unique dining experience that reflected the color and warmth of the Village of Wimberley. Almost 6 1/2 years later, in August of 2013, The Leaning Pear made its move to a new building just a stone’s throw from the original location, set back closer to Cypress Creek atop a natural bluff overlooking the lush creek meadow. Designed by Overland Partners, the “New Pear” is a celebration of the rustic character of its original site, blended with a clean, fresh, environmentally sensitive design concept. 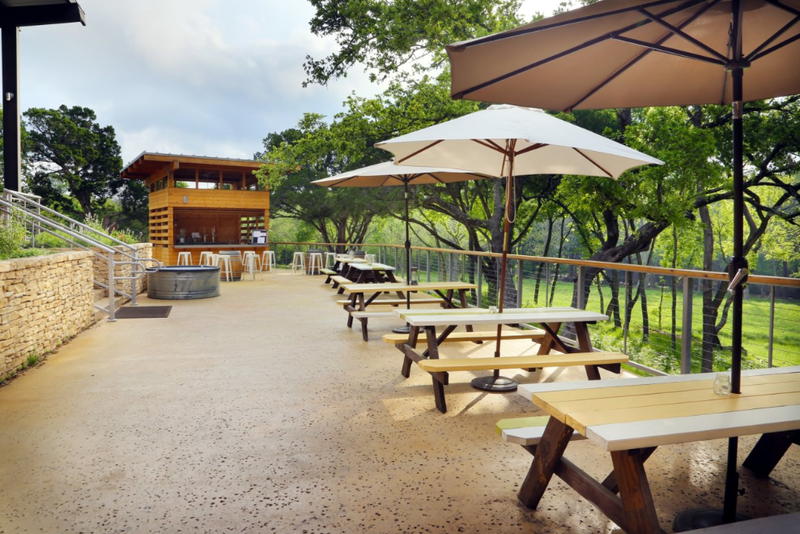 Truly a testament to the eclectic spirit of its hometown, The Leaning Pear is Wimberley’s destination spot for unique, well-crafted, delicious food in an idyllic hill-country setting.